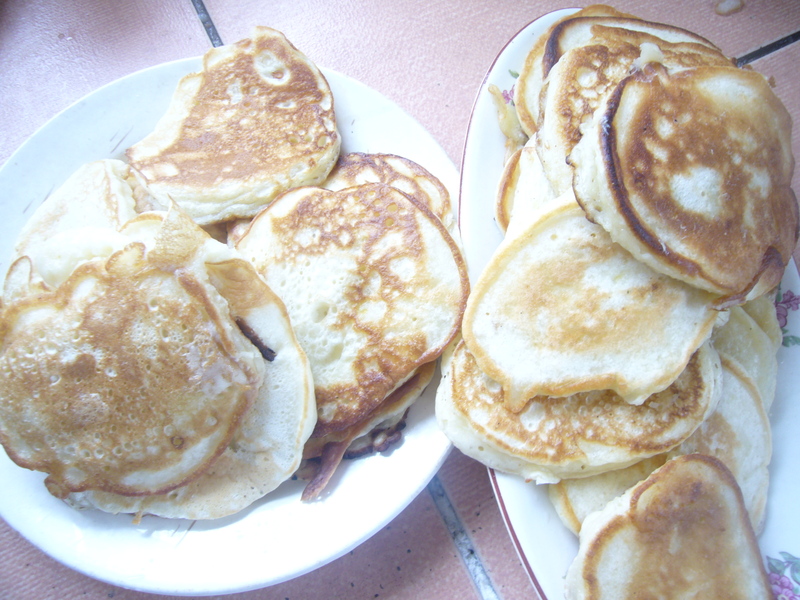 We all love pancakes, so we make them not only for the Shrove Tuesday, which we call in our country “Maslyanitsa”. This means “Fatty or butter week”. It takes only 5 min to mix pancakes for the Shrove Tue. I just mix all the ingredients up together to attain the right thickness of the mix. I make it pretty thick, as good as home cream. I have two tricks to make the pancakes more delicious and more feathery. I add few table spoons of sour cream into the mix. It makes pan cakes more delicious and feathery. I grate 1 apple into the mix. It adds a fruity touch of flavor to pancakes. This entry was posted in Easy Recipes and tagged baking, breakfast, breakfast recipe, busy moms, cooking, cooking tips, easy cooking, easy recipe, food, pancake, pancake recipe, pancakes, quick pancake recipe, quick recipe, quick snack for kids, shrove tuesday, tips for moms. Bookmark the permalink.